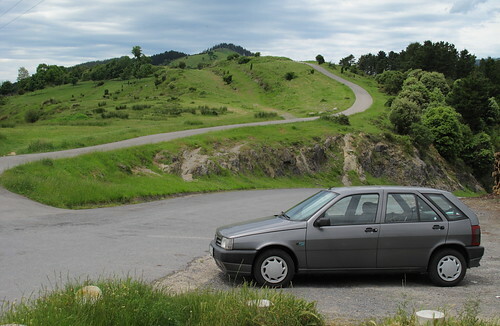 The Alfa Romeo 155 was derived from FIAT's project "Tipo3", using the same structure and door openings of the Fiat model, with a variation in the moulding process. 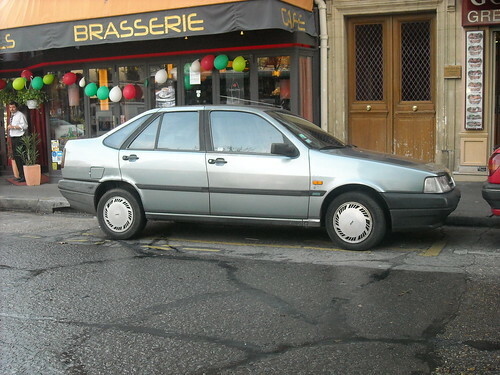 Tipo3 was FIAT's project to replace the FIAT Regata by creating a mid-size car between the Fiat Tipo (project Tipo2) and the bigger Fiat Croma (project Tipo4). The car was marketed with the name FIAT Tempra in 1990. Chassis and main parts (most notably, the doors) were shared with the Fiat Tipo. Vehicles, derived from the same project were Lancia Dedra (Tempra's most similar cousin, sharing all the mechanical components), Lancia Delta second generation, Alfa Romeo 145 and Alfa Romeo 146. Source: Archivio storico dell'Alfa 155, Tipo3. 1. Archivio storico dell'Alfa 155: Storia dell'Alfa 155, Il designo, Intervista esclusiva con Sig. Ercole Spada [History of the Alfa 155, The design, Exclusive interview with Mr. Ercole Spada]; 2010.